- to know its surah number and benefits of recitation. 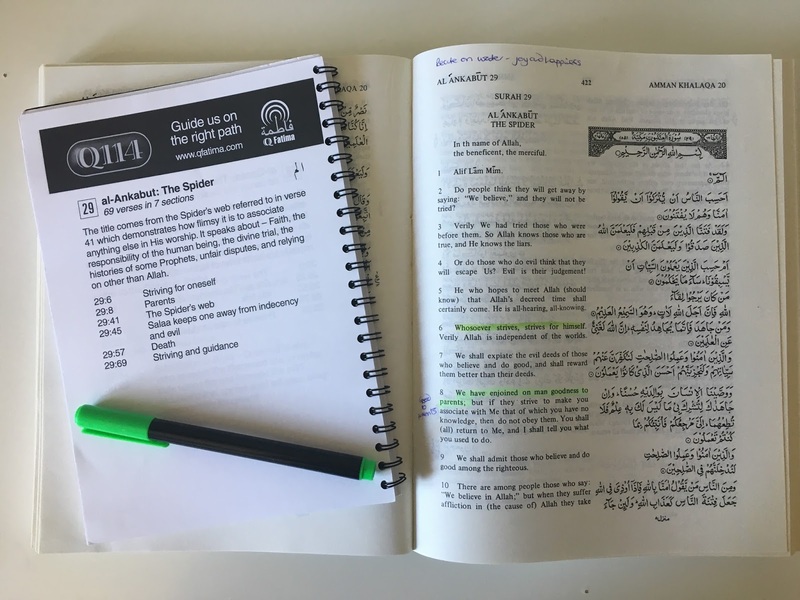 Use the Q114 Key Concepts by QFatima to highlight selected verses from the surah. Read and discuss together. 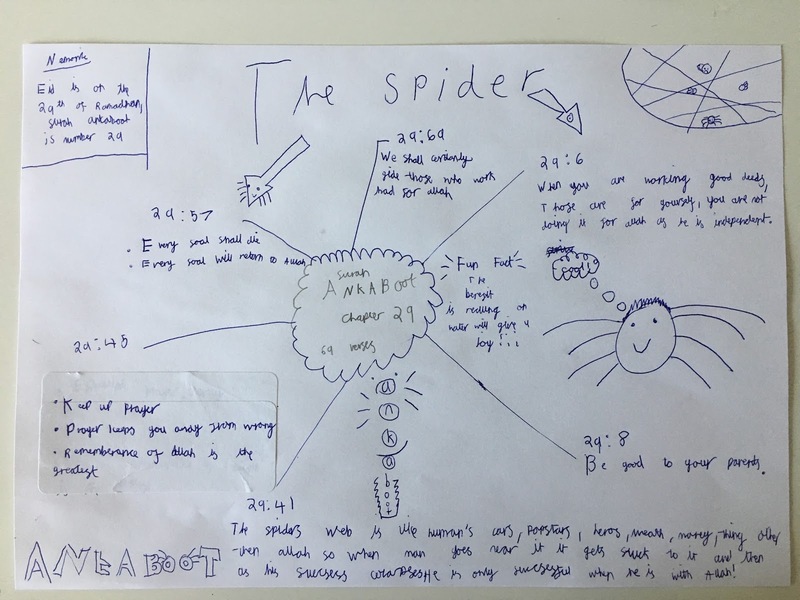 Create a mind map or poster to illustrate the lessons. 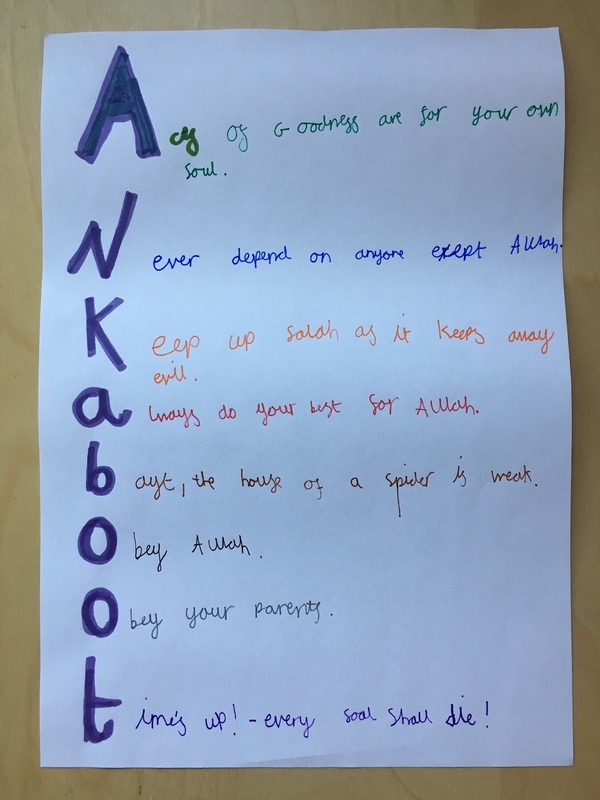 Write an acrostic poem using the first letters of the word 'Ankaboot' to help children summarize the key concepts mentioned in the surah. Each line can be a word, a sentence or a phrase and does not need to rhyme.